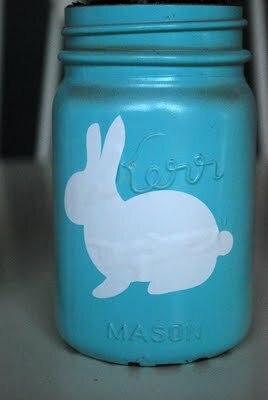 Juneberry Lane: Easy Elegance: The Sweetest Spring Mason Jars . 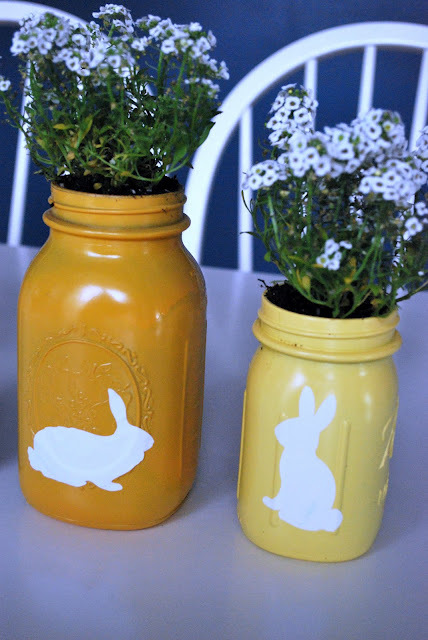 . .
Easy Elegance: The Sweetest Spring Mason Jars . . . 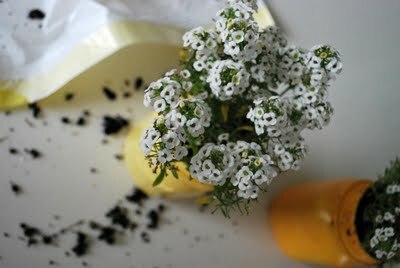 Looking for a quick DIY project to make a simply stunning centerpiece for your Easter Brunch? 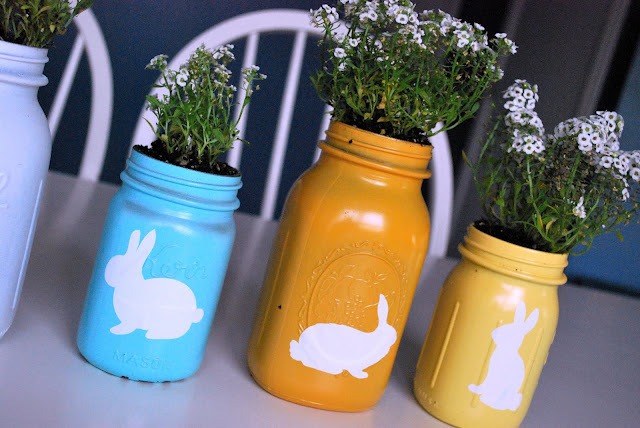 Well, look no further, because these easy-peasy bunny jars from The CSI Project are just the things to create a whimsical & fun focal point for your holiday tablescape! 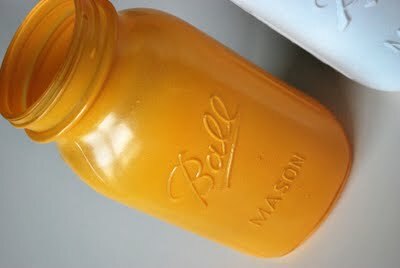 ~ mason jars of all shapes & sizes...as many as you like! 1.) 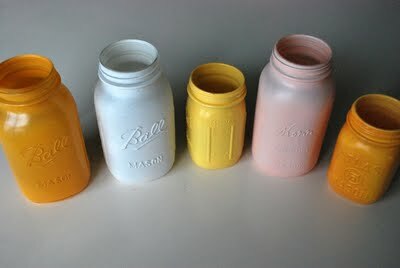 With your jars flipped with the mouth down, spray paint each jar the color you want. The first coat should be a very light coating, not covering all the way. 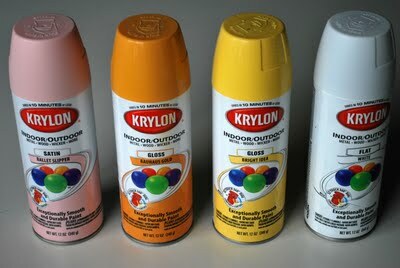 After the first coat sets for just 10 minutes, you can follow up with a second coat. Repeat until you have the coverage you want. 2.) 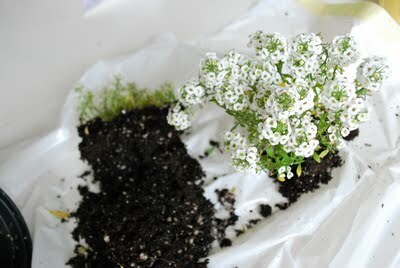 After they have dried 24 hours, transfer over your Spring plants. 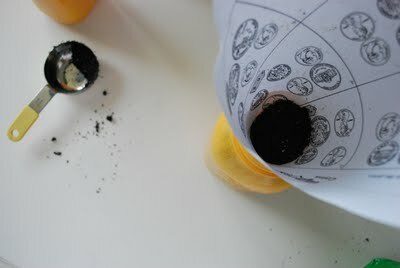 Make a paper funnel and place it in the mouth of your jar. 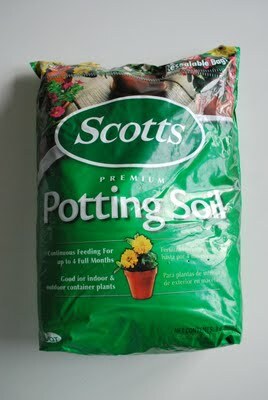 Slowly scoop in potting soil. Fill just over two thirds full, leaving plenty of room for your plant. 3.) Remove your flowers, roots and all, from the pots you bought them in. 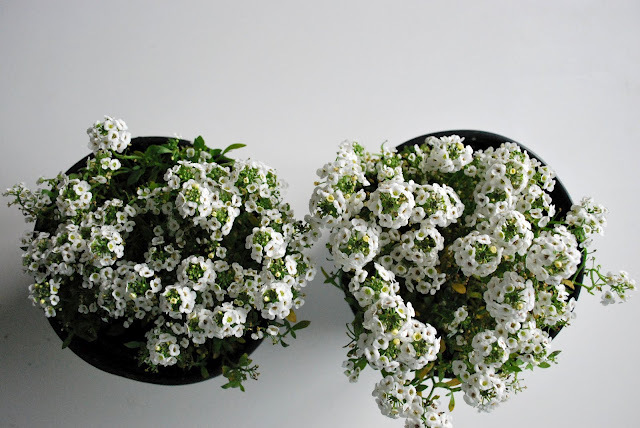 Separate your flowers into smaller, natural groups. 4.) 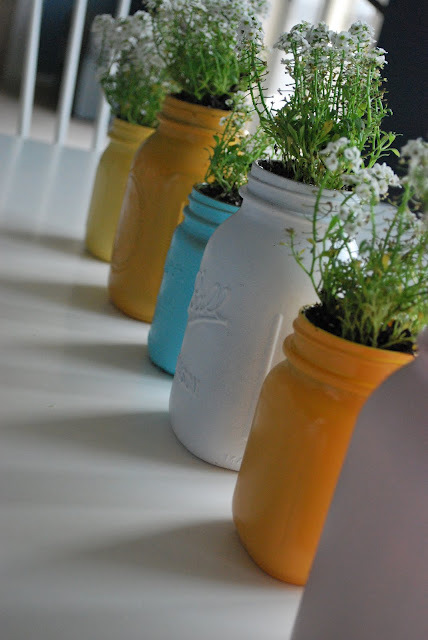 Transplant your flowers into the jar. 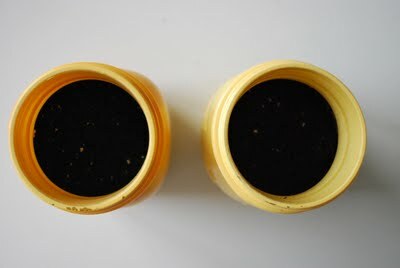 Add in any extra soil around the plant that is needed to fill the jar. 5.) Repeat with all of the jars. 6.) 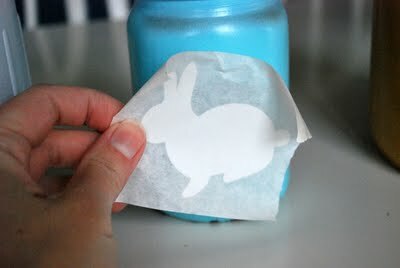 Unroll as much of the white vinyl as you need and using your Spring cookie cutters, trace shapes onto it. With an exacto knife (or a pair of scissors if you don't have one!) 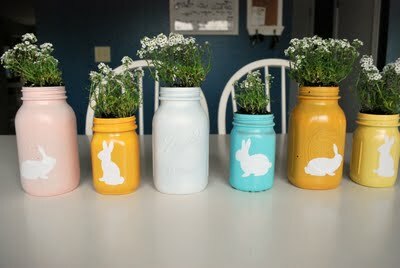 cut out the shapes and apply them to the side of your mason jars. Repeat with all the jars, some of the jars, and whatever shapes you like!! Aren't those darling? And you don't have to stick with just Easter & bunnies, you know! These would look great with any colors or shapes that go with your next big event . . . you can fill them with plants, wrapped candy, straws, heck, whatever you like! 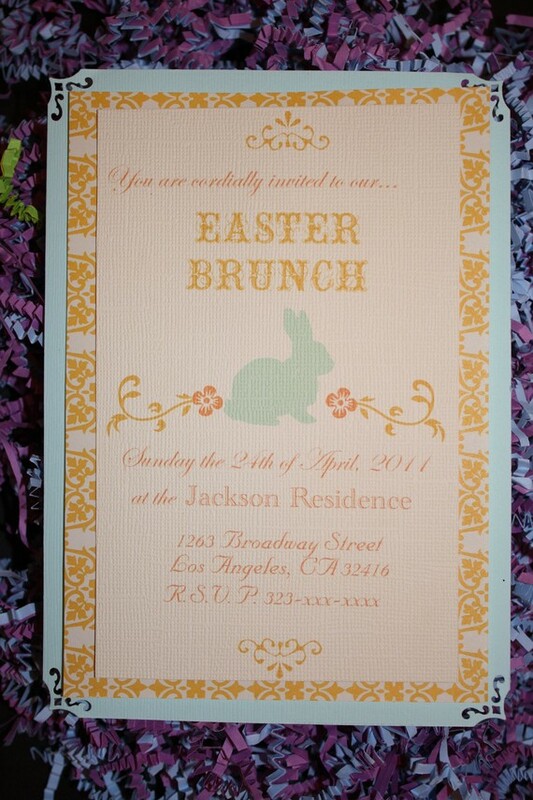 And in case you feel like fancying things up a bit for Easter, now that you have been all inspired, don't forget to check out our Easter Brunch invitations in the Juneberry Lane Etsy Shop! 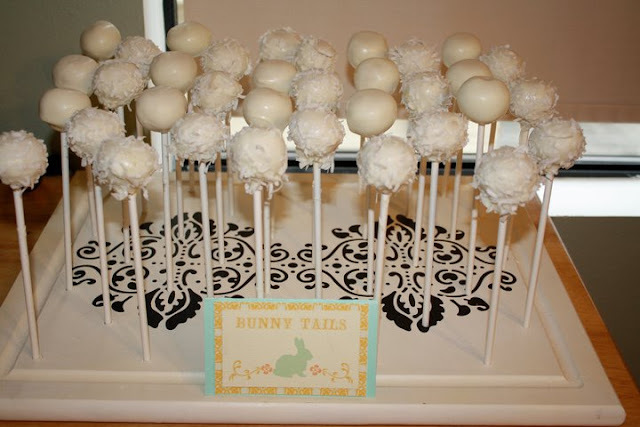 And don't forget about our sweet little 'Bunny Tail' cake pops from last year . 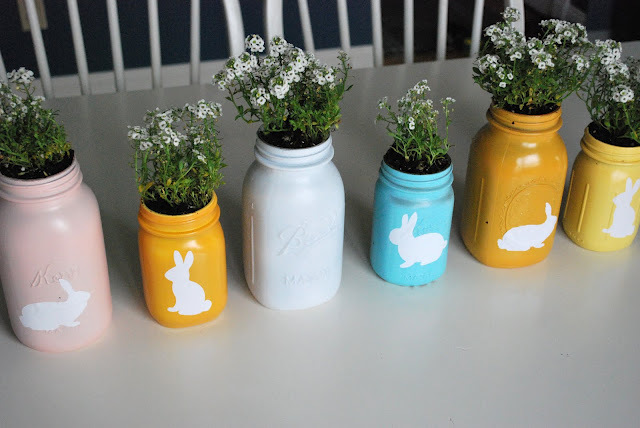 . .
Why, they would go quite nicely with these lovely mason jars too, don't you think? Have a wonderful weekend! !